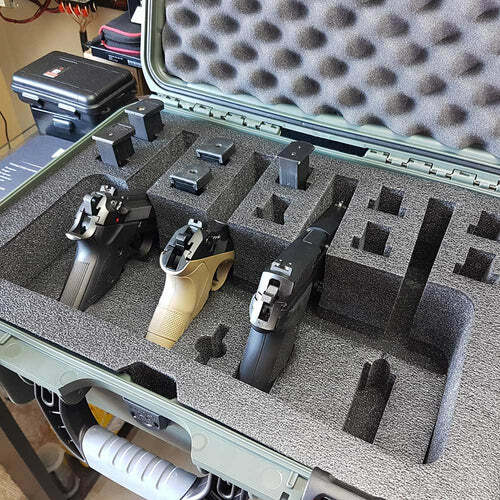 Solid Case with individual stations for your pistols so they don’t roll around during transport. 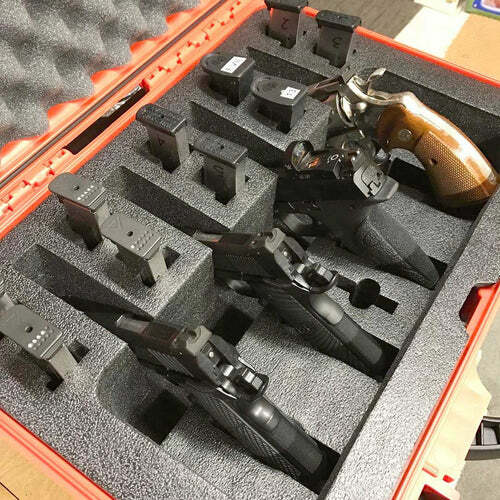 Enough room for you to trigger lock your pistol and still be able to stow it away in the case. Also, a huge plus is the fact that you can swap the clasps with locking CSA approved clasps which makes it much easier to lock/unlock. 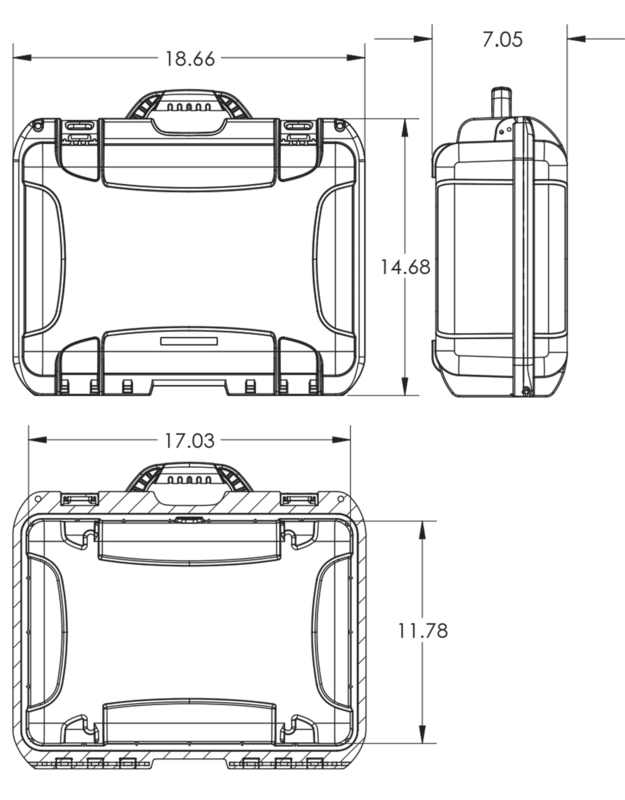 Overall very nice looking and functionally capable case. A Great Case for My Collection!!! 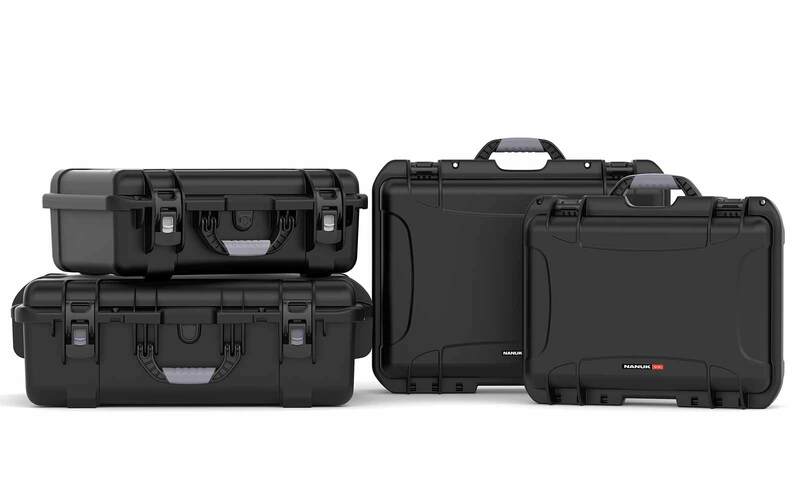 Initially, I was going to buy the 909 Glock Case, but I realized I needed some room to grow. 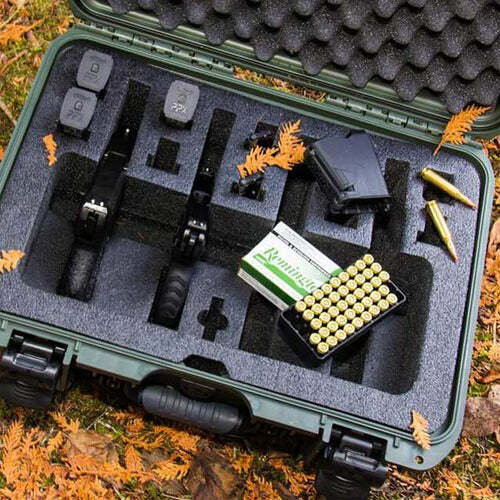 The Nanuk 925 4 Up Pistol Case is the perfect fit for my firearms equipped with trigger locks and it looks great in olive! 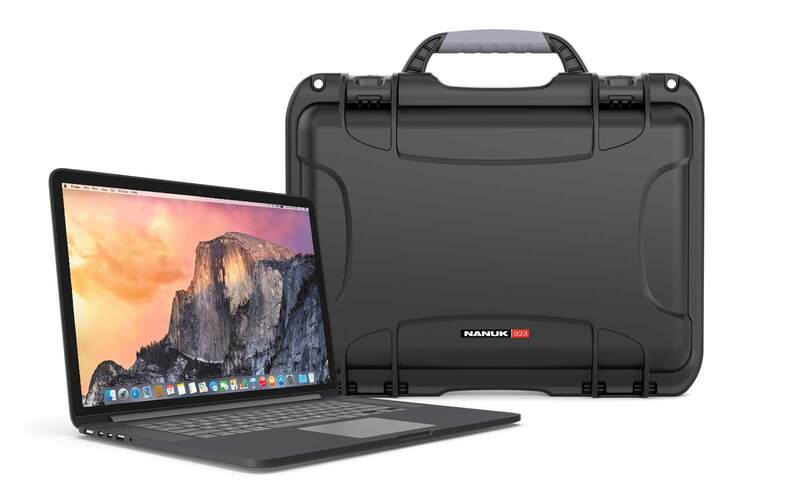 Top of the line case for a decent price. Arrived quickly. Hard cases is a great site. Love this case, exactly what I was looking for. Only have one complaint, hence the four stars. The case needs to be made bigger around the handle. Every time I pick up the case it pinches my fingers between case and handle. Very simple fix. Make area same size as handle or larger. 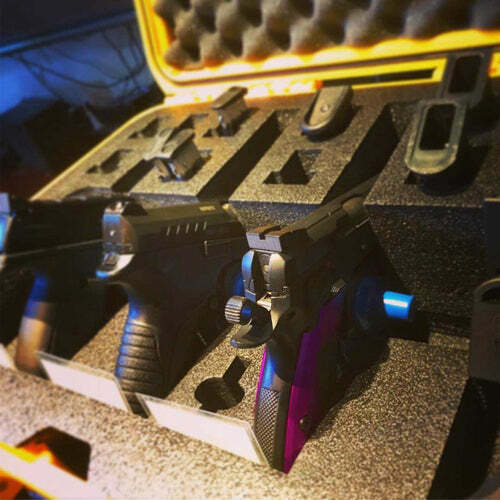 How many handguns and magazines can be stored inside the Nanuk 925 4 Up Pistol? 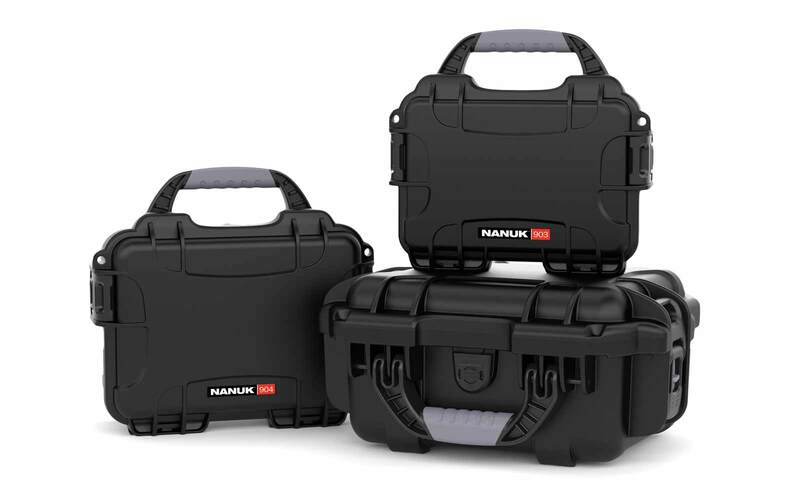 The Nanuk 925 4 Up Pistol provides secure storage for up to 4 handguns and 10 single or double stack magazines. Are the foams of Nanuk 925 4 Up Pistol custom cut or I have to cut them myself? 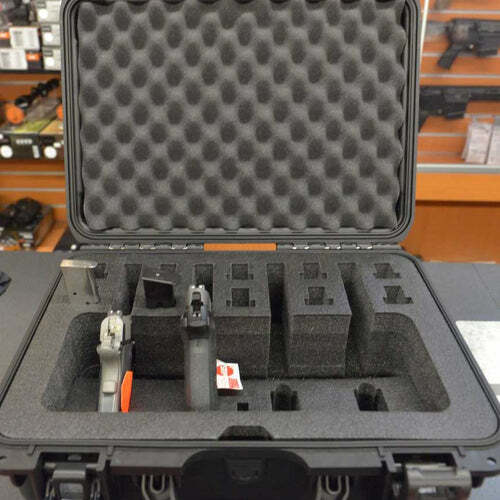 The Nanuk 925 4 Up Pistol case comes with a custom cut foam designed to handle up to 4 handguns and 10 magazines. Can Nanuk 925 4 Up Pistol also fit the 1911 styles? 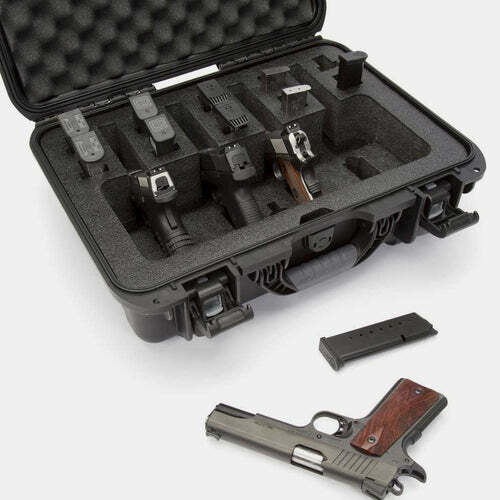 The Nanuk 925 4 Up Pistol case will also accept 1911 style guns and accommodate guns fitted with trigger locks. 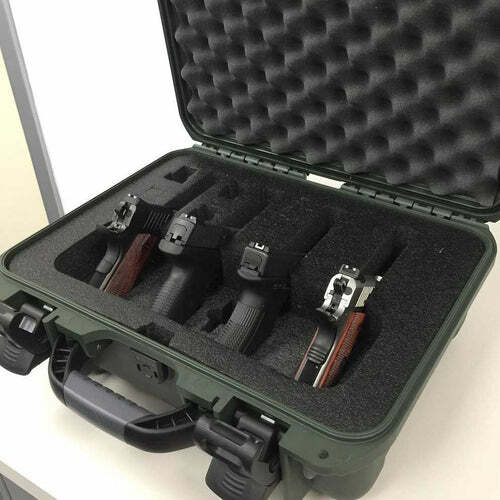 Can this Nanuk 925 4 Up Pistol case fit both my G32 357 and G33 357? Yes, you can use Nanuk 925 4 Up Pistol for both G32 357 and G33 357. 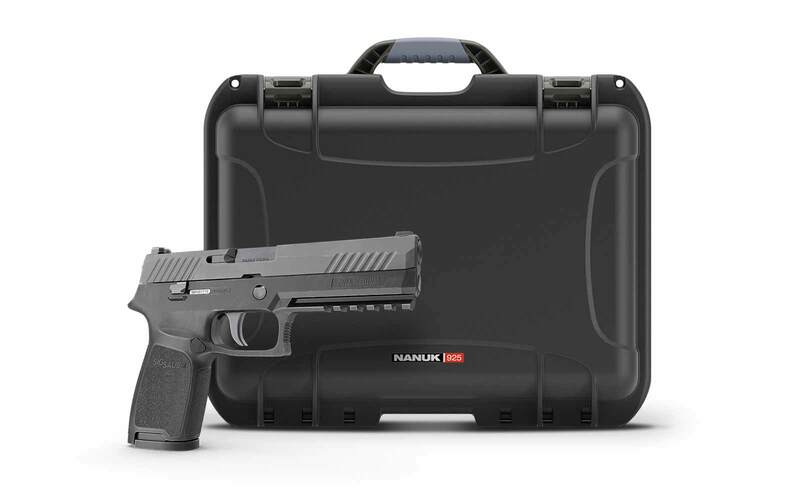 Is this Nanuk 925 4 Up Pistol completely watertight? The waterproofing seal is designed to resist deformation and fatigue, ensuring a long lasting watertight seal. 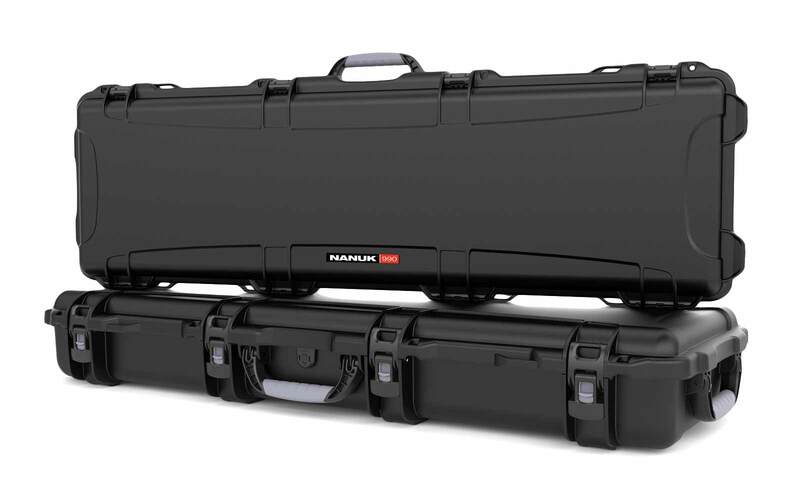 Is his Nanuk 925 4 Up Pistol approved for airline carry on? 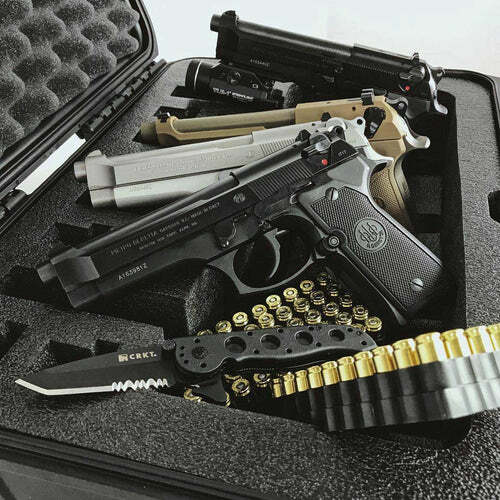 Yes, this Nanuk 925 4Up Pistol can be carried inside the plane. 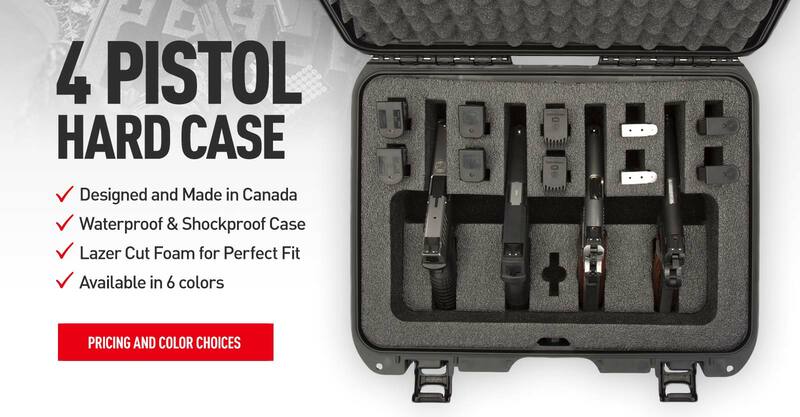 Is Nanuk 925 4 Up Pistol bump resistant? 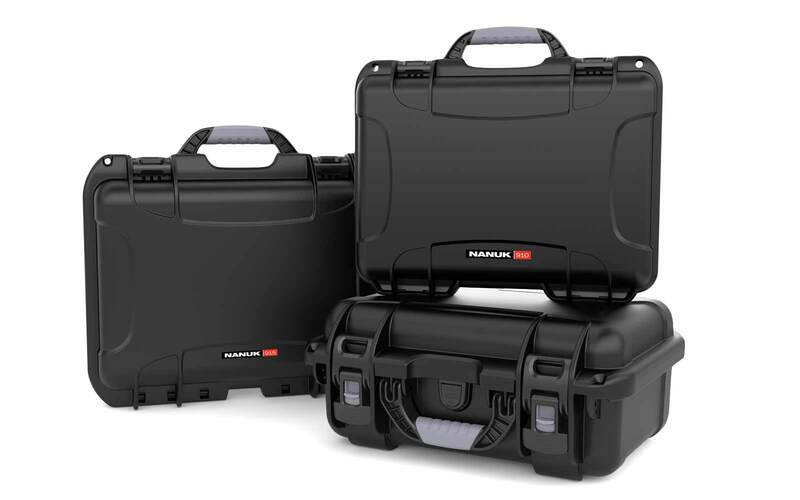 Yes, the Nanuk cases are made with Nk7 resin, an impact resistant material. 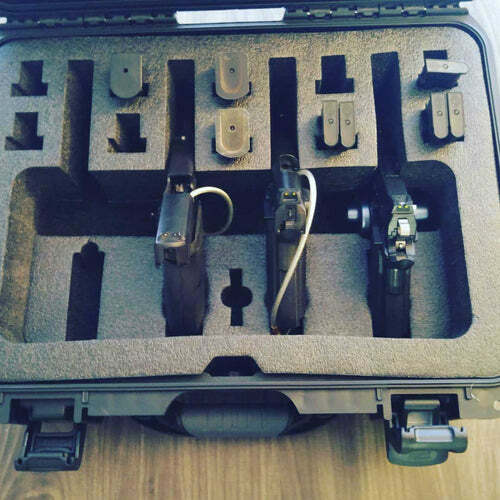 Can I use TSA locks in the Nanuk 925 4 Up Pistol? 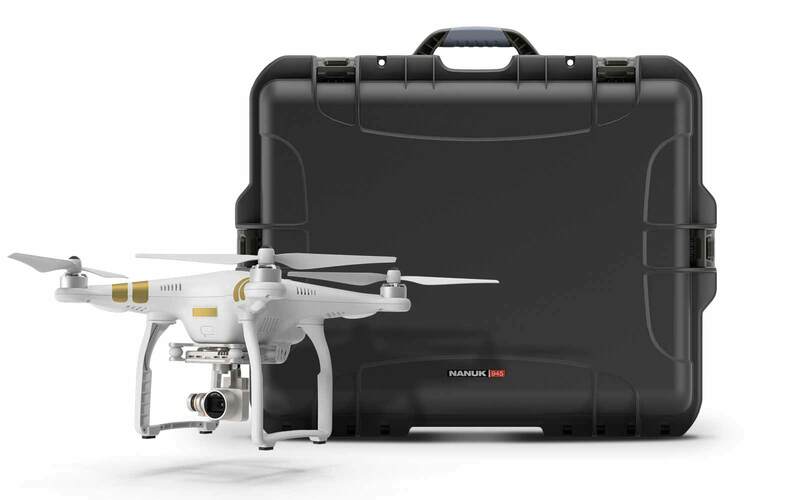 Does the Nanuk 925 4 Up also have padlock eyelids? 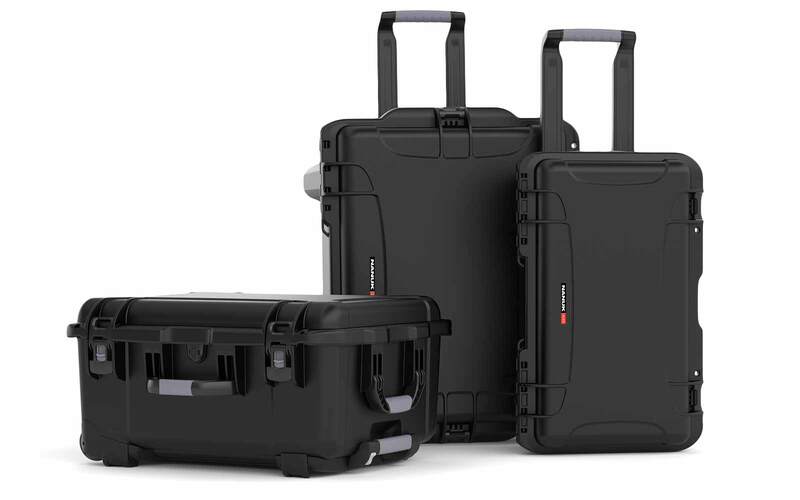 The Nanuk cases have padlock eyelids where you can use TSA approved locks for extra protection.